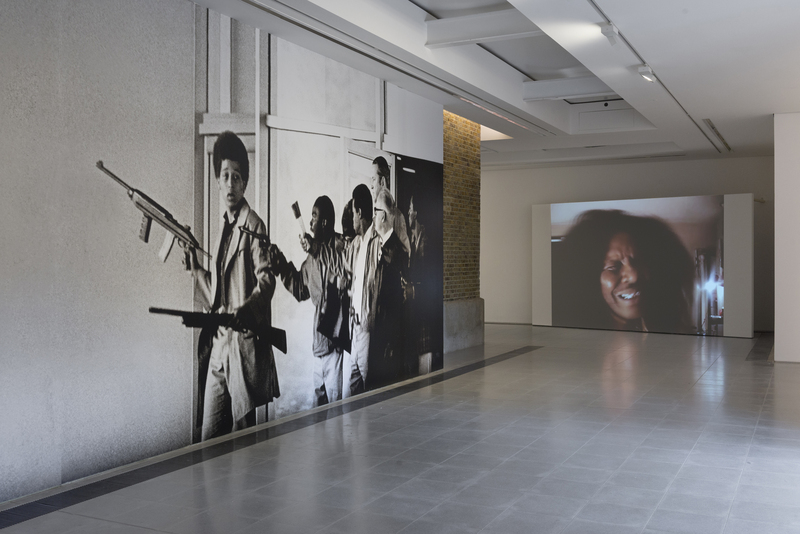 Arthur Jafa: A Series of Utterly Improbable Yet Extraordinary Renditions will be on at the Serpentine Sackler Gallery until 10th September. Over 3 decades US filmmaker, cinematographer and artist Arthur Jafa has developed a multidisciplinary and dynamic approach towards the ideas of identity and race, challenging the status quo to claim a specific Black visual aesthetic equal to the ‘power, beauty and alienation’ of Black music in US culture. The exhibition space is transformed with series of new assemblages of film, photography and footage, Jafa’s work and vision focus on the sense of absence that haunts Black life. Invisibility and hypervisibility seem to play a cruel game upon the Black body, especially in a white space, where the white gaze regularizes Black lives and expression, language and behaviour. Through a series of pictures, images, objects and artefacts, Arthur Jafa keeps questioning the unique condition of the Black body, image, identity and heritage in a predominantly hostile environment, where fashion, music, traditions and culture are constantly regulated and appropriated by the mainstream. Orubapo, sociologist and artist, work explores the various social appearances of race, family relations, gender, sexuality, violence and identity, while Ming, known for her informal, in-action portraits of black cultural figures and her sensitive and evocative street photography, explores the Black bodies in the urban space. Through these works and approaches, along with the powerful visual work of Arthur Jafa, the artists intertwine a narrative of power and vulnerability, fragility and empowerment, proximity, distance, visibility and absence, articulating a vibrant and striking storytelling around Black body imagery and the imagination.